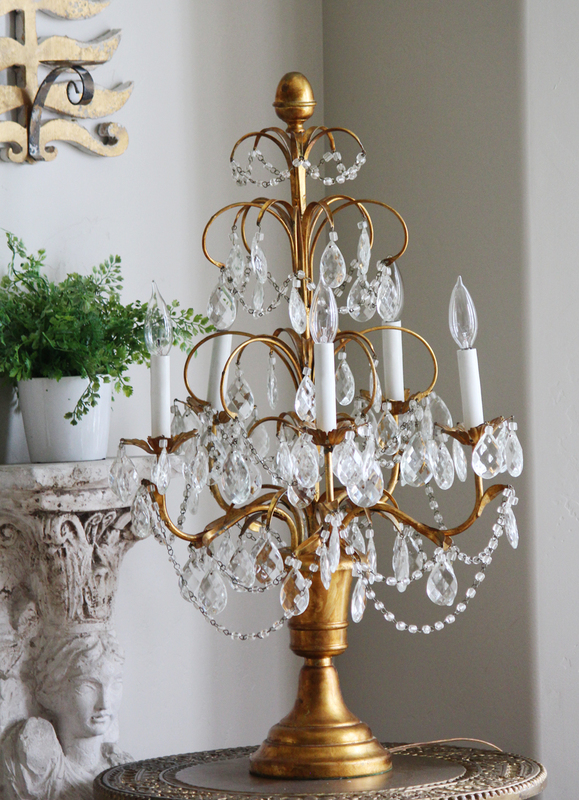 This Antique Italian Table Chandelier Girandole is amazing. 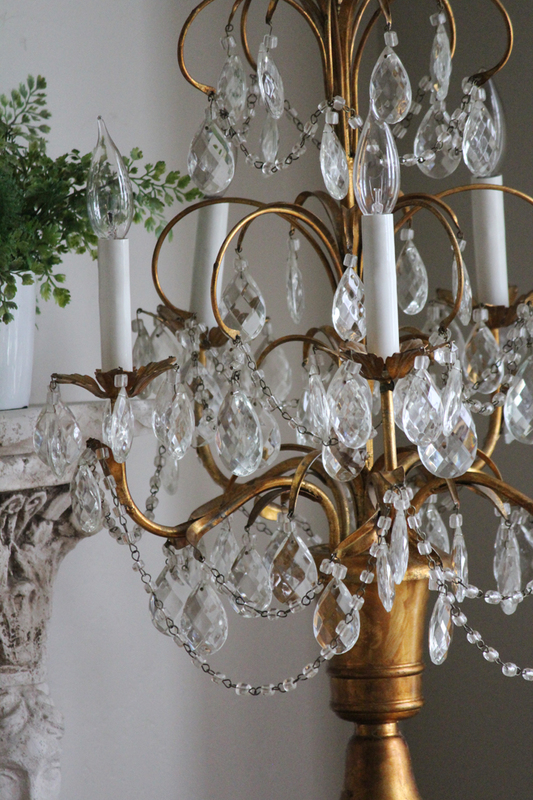 It is covered with incredible Italian Macaroni beading, highlighted with long gracefully wispy leaves and a time worn gilt patina. Along with the original Macaroni beading are all the original crystal prisms. 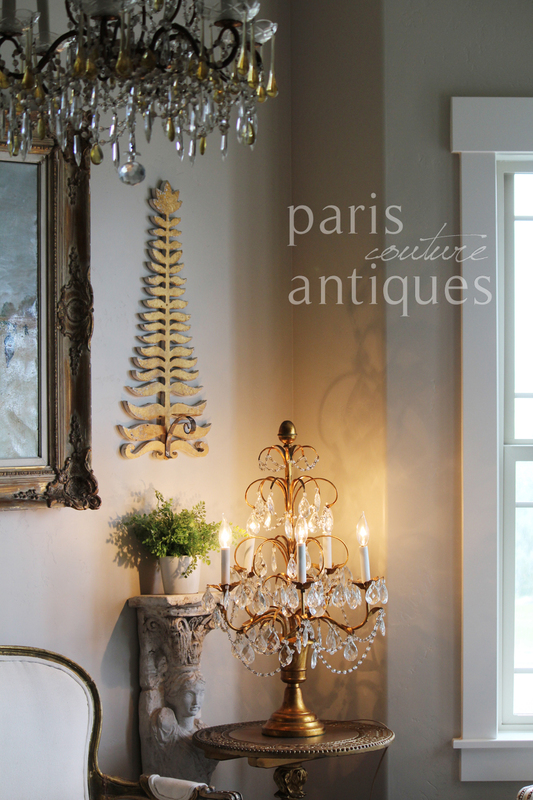 This is a true statement piece for any room you are wishing to add that feeling of French ambiance. It casts a warm and romantic lighting effect when lit. A must have for your home.